Baseball season is in full swing and our beloved Colorado Rockies are back at it! The Rox have been giving fans plenty to cheer about so far this season with exciting game play, surprising player moves and intriguing young talent like Trevor Story and Tyler Anderson. The team has had some impressive games, including ending a San Francisco Giants’ five-game winning streak and hitting seven home runs in a 17-4 victory over the Cincinnati Reds. That’s not to say that there haven’t been a couple of let downs this season, including the recent “the one that got away” loss to the LA Dodgers where the southern California team beat the Rockies in a 4-3 nail biter. So where do the Rox stand now? Right in the thick of things. The Rockies are currently in third place in the NL West. However, the division leaders (SF Giants and LA Dodgers) are both suffering injury woes so there’s still a good chance for the Rockies to take the West. With plenty of baseball left to play, there are several opportunities for fans to cheer on the home team. Here are some fun Rockies events that you surely cannot miss this 2016 season! We all know baseball and hot dogs go together like peanut butter and jelly. And during the Rockies’ battle with the Toronto Blue Jays, you can snack on all the hot dogs you desire without breaking the bank! Celebrate the Rockies win (Fingers crossed! No jinx!) against the Philadelphia Phillies with a post-game fireworks celebration where both teams’ fans will be able to enjoy a colorful fireworks display above Coors Field. Here at Coldwell Banker, we love anything and everything that has to do with the Colorado Rockies and that’s why we are celebrating an upcoming game the Coldwell Banker way. 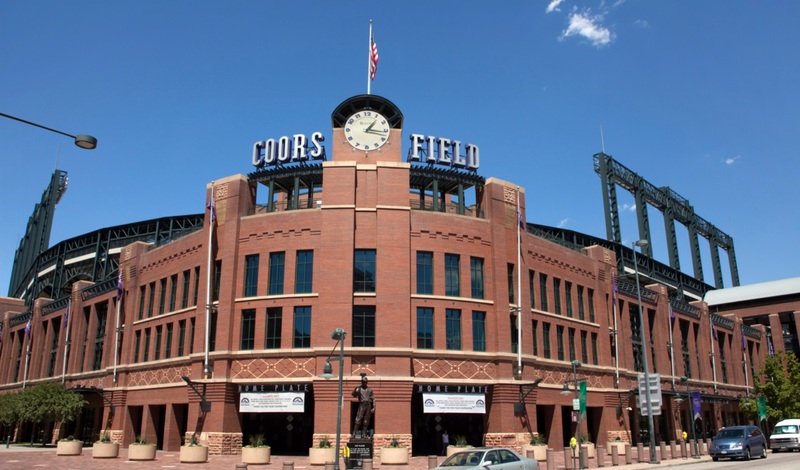 On July 19, we will be holding a Coldwell Banker Client Appreciation Night at the Rockies where the Coldwell Banker crew will join in on the sports fun and cheer on the Rockies in their battle against the Tampa Bay Rays. Along with KOA News Radio, the Colorado Rockies will be giving away a Rockies baseball cap to the first 10,000 fans to show up! Make sure to get there early! Bring your furry friend to “Bark at the Park.” Rockies fans are invited to bring their super-fan pooches for a day of game fun where the team will take on the Washington Nationals. Prepare for fall with a cool Colorado Rockies scarf! The first 5,000 fans will receive this coveted scarf to help them battle the upcoming cooler season. Right after the Rox take on the San Diego Padres, the kiddos will be able to get on the field and run the bases – just like the pros – in this fun event. Will you be cheering on the Rox at any of these fun summer events? Let us know in the comments – and look out for us on July 19!